from Catoctin Creek (Virginia), 6 mi upstream from Monocacy River, and at mile 159.5. PERIOD OF RECORD.--February 1895 to current year. 1918, 1919(M), 1920, 1921-23(M), 1924, 1925-28(M), 1930(M). at gage datum about 0.45 ft higher. telemeter at station. U.S. Geological Survey satellite data-collection platform at station. 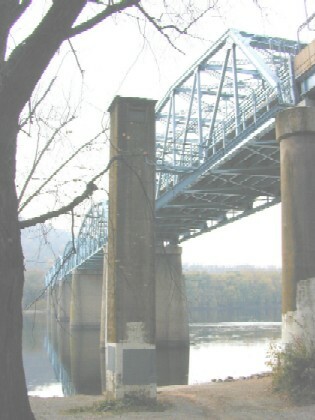 gage height, 41.03 ft; minimum discharge, 530 ft3/s, Sept. 11, 12, 1966. River Basin, and the U.S. Geological Survey.